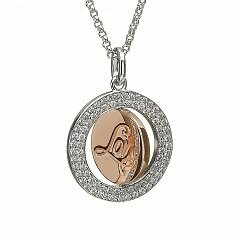 An 18 inch chain supports the gold plated outer rim while the spinning center disc is crafted from rare Irish rose gold, ethically mined in the hills of Tyrone. 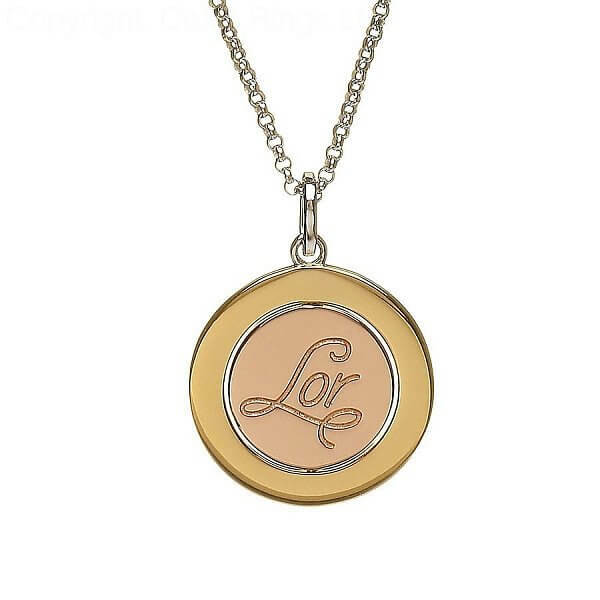 The word Lor adorns the center disc. 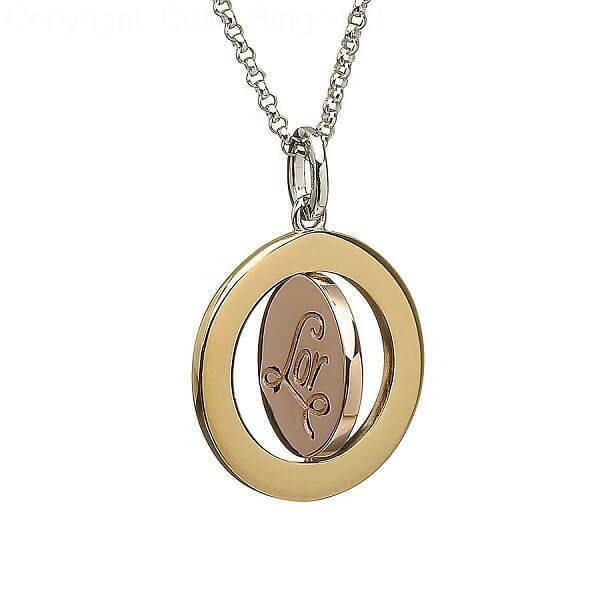 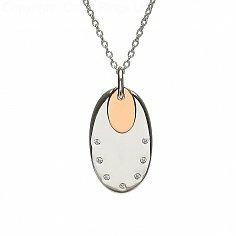 This pendant has its own certificate of authenticity and is presented in a beautiful wood box.